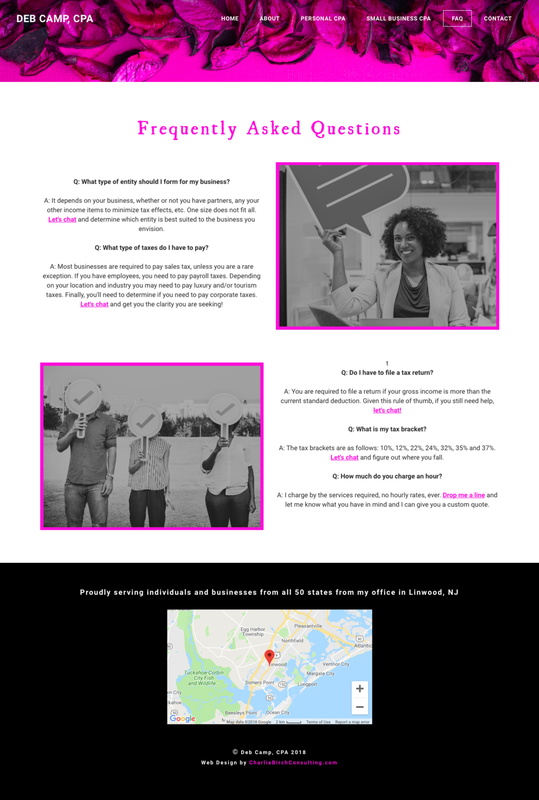 This is a full site creation project completed for an independent CPA - custom branding, original copy, stylized images, testimonials, an online scheduling app, on-page SEO optimization, an interactive FAQ page, and a contact form. This site is hosted on Weebly. 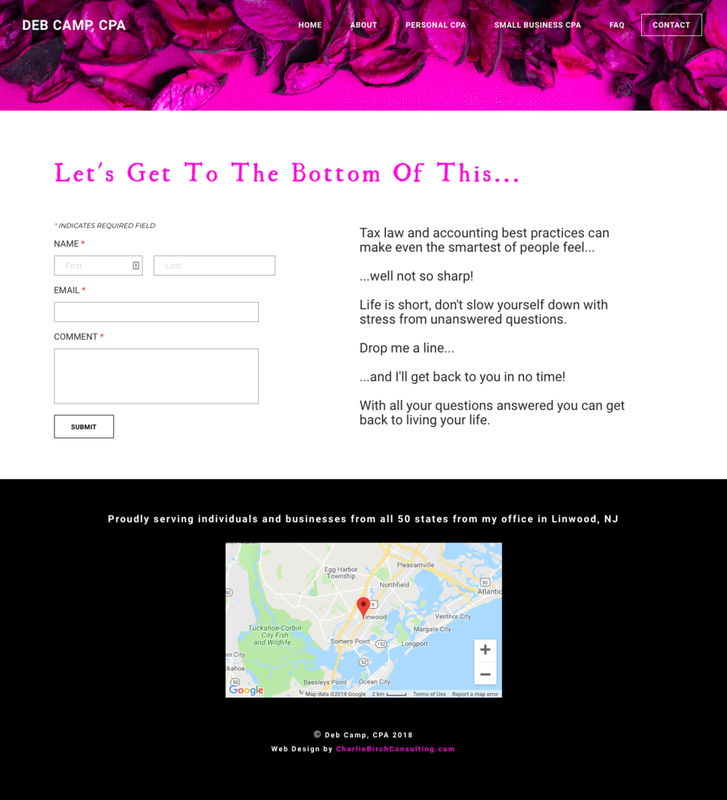 “Words cannot express how pleased I am with the beautiful and fun website that Charlie created for me.